Enjoy the tranquility of this home-site tucked away amongst the maples, oaks and pines. This acreage is very private and more land is available if you need more elbow room. Share your backyard with the abundant local wildllife. If you love watersports, then this is where you want to build your dream home! The Wisconsin River, for more extreme sports is a short drive away. Also nearby is Fawn Lake and Trout Creek if you prefer things more on the quiet side. 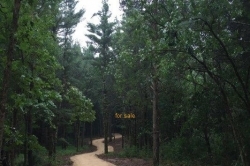 Lovely area that is close to Wisconsin Dells, shopping and fun! Owner may finance on a land contact. Call now! 1840917, 75+ Acres of Prime Hunting Land For Sale!